Today we learned that British physicist and astronomer, Prof Stephen Hawking, died peacefully at the age of 76. 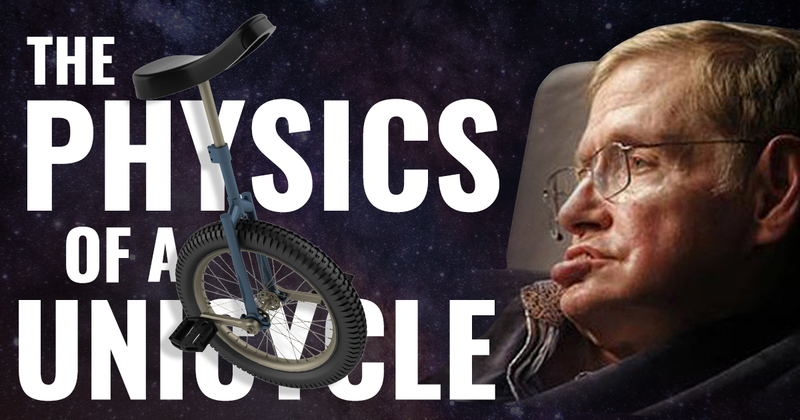 He spent his life pondering the physics of the universe and so, here we honor his memory by sharing with you this great educational video, “The Physics of Unicycling”, and a very unique song by California based group cLOUDEAD called “The Physics of a Unicycle. Hey! Don’t forget to check out the super strange hip-hop stylings of Doseone and Why? in their ode to our favorite vehicle. Just click play on the Spotify player below, then sit back and think about space and time and black holes and stuff for a few minutes.